Julia Jean Turner was absent from typing class on the day she became a legend. She was on the corner of Sunset Boulevard and McCadden Place instead, ordering a soda from an employee of the Top Hat Cafe. After putting a few coins in his hand as payment, she rested on a burgundy-colored velour cushion at the Formica counter and daydreamed about ideas other than F,D, S, A, J,K,L,;. Soon, she would be joined at the counter by William Wickerson, the Hollywood Reporter publisher who would stop in for a soda of his own after seeing her magnificent visage while walking past. They would talk, and the interaction would change Julia’s life forever. These occurrences are rare, but they exist. Lives can change the moment two people pass each other in the city street and say Hello. They can alter the second one recognizes a phone number and answers it with a madly beating heart. They can evolve at any time, transforming any young truant sitting at a counter from a “Julia Jean Turner” into a “Lana Turner.” Chance is the key. 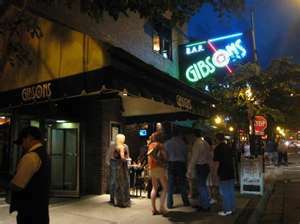 It was near midafternoon on that warm spring day in the twilight of my tenure at a reputable steakhouse on Paxton Road in Cincinnati, Ohio, when Destiny sat at a table under my jurisdiction. Two fair-haired women were conducting business. As I walked by to check on how they were progressing, I noticed a number of black and white pictures of actors pushed just beyond the lips of their salad plates. One of my diners gently swung her judicious eye my way, sizing me up. She then architected a moment not unlike the fateful scene between Julia Jean and Mr. Wickerson. “Are you an actor?” she inquired. Acting had not been my focus for a number of years. After graduating with a BA in the field, I had foundered when I first ventured into it after college, too intimidated by Chicago’s competitive field. Still, I felt compelled to answer affirmatively, and she smiled, extending her right hand. I called the moment my apron was untied, and my life turned a corner. Before long, I was auditioning for Cincinnati industrials and plays, and eventually left the Queen City altogether. Reflecting on this fated moment years later while looking out of the dusty window of an actors’ touring van, I concluded that Destiny’s tender touch does indeed exist, provided one is patient and faithful enough to wait. It cannot be experienced as one pokes at the Home Keys, though, living day to day expectantly. Rather, it can be felt only in those extraordinarily rare moments when our pinkies reach into the corners of our lives, minding our “P”‘s and “Q”‘s. L. Frank Baum’s classic The Wizard of Oz comes to life quickly in the first scene, when readers meet Dorothy’s surrogate father, Uncle Henry, who surveys the swirling skies for ominous conditions while pulling at the whiskers in his whitened beard. Baum wastes little time before having this family watchdog declare,” There’s a cyclone coming, Em,” thereby setting a familiar chain of events in motion. Auntie Em summons Dorothy. Auntie Em grabs the pleated hems of her flower-printed farm dress and bolts for their shadowy cellar. 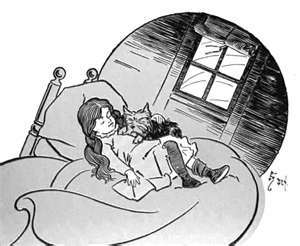 Dorothy, lost in reverie in her confining bedroom, is hit in the head by a blunt projectile and rendered unconscious. Dorothy is caught in a cyclonic spin cycle. Dorothy lands in Oz when the house hits the ground with a lifeless thud. Und so weiter, und so weiter, und so weiter. Like Dorothy’s uncle, I have stood sentinel too, only, to a crowded auditorium of diners situated in a small strip mall on Cincinnati’s north side. It was roughly mid-evening that July night, and the commons was abuzz with conversation so loud that it rushed headlong into bare walls and heightened ceilings, fracturing into echoes on the cement floor. The weather was evermore incommodious that night, however. I remember glancing warily at the narrowly-slit window panes that lined the restaurant skull on more than one occasion. And I think I turned green at the same moment that the stormy skies did. I was distractedly pulling a stack of doughy, white tortilla shells from beneath a warming light and setting them in a red, plastic tortilla holder that was lined with wax paper when my manager waddled over. “Let your tables know that we’re under a tornado warning and that they’re free to take shelter in the basement, if they’d like,” he calmly said. Being an Ohioan, I know tornadoes enough to fear them. I have done enough tornado drills in elementary school to know to not giggle nervously. I’ve listened to a young neighbor begin to cry, when his father’s rushed footsteps on the second floor of their home indicated a twister sighting. And my family and I drove through Xenia, Ohio, en route home from a trip to my grandmother’s oceanfront New Jersey apartment, to view the wreckage wrought by the F5 tornado of ’74. I know cyclones, and I fear them as much as movie stars fear anonymity. I walked to each table of mine- patiently, burdensomely, self-effacingly- and informed my guests of the approaching danger before retreating to the restaurant’s rendering of Auntie Em’s shadowy cellar. Tucking myself away between cases of beer and extra chairs, I found myself with oddly little company, nobody there but us chickens, anyway. Everyone else had remained in the cavernous upstairs dining area, clinging to weighty burrito platters and laughing. Painful memories are evocative of tangy taffy tablets that get caught in one’s teeth. Innocently beginning as carefully measured concoctions of sugar water, butter, flavor, and color, they are like a starry-eyed couple mixing, discovering delight, philosophical difference, similar tastes, and enough commonality to flourish. Next, as the chewy pieces slowly dissolve, both parties are left wanting more and rummage to get as much as they can from each other, until the box comes up empty. Last, the couple sleeps on it one last time before making the fateful decision, the candy is not brushed away, and the sugary sweet grains are left behind on the rear molars to putrefy. 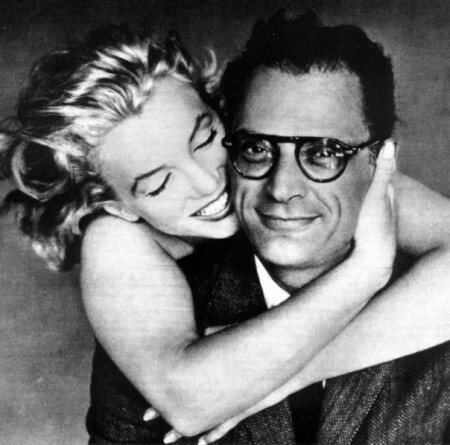 Playwright Arthur Miller, arguably one of America’s finest dramatists, never filled the hollow space left by his wife of five years, Hollywood star Marilyn Monroe. Rather, he preferred to lower his jaw and examine it frequently with near dental precision, authoring a number of dramas featuring her flawed character. His final piece, Finishing the Picture, examined her psychological deterioration during the filming of The Misfits and premiered at Chicago’s Goodman Theater in 2004, starring an all-star acting ensemble. The doors of the nationally recognized playhouse open into neighboring Petterino’s, downtown Chicago’s inspired answer to Sardi’s. The red boothed dining room, one part Politician Watering Hole and another part Theatergoer Mainstay, was presided over by Marie Ursini from its time of origin until 2011. 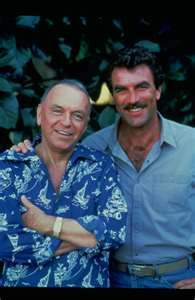 As mentioned, Miller’s final drama employed a multitude of celebrated stage actors. Stacy Keach, Matthew Modine, Scott Glenn, Linda Lavin, and Frances Fisher all took late lunches at the corner eatery throughout the production. “All of those people were really nice, not difficult or anything. I liked them. 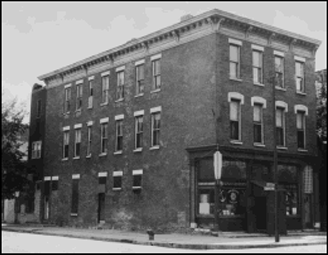 They would sit outside [on the patio] and listen to the music,” stated Marie. A bartender reminisced about tending to the actors one particular afternoon, too, when the bill was paid, but no extra cash lay in the binder. It took him by surprise, since most thespians are familiar with treading on the restaurant boards in addition to their stage environs. Even more surprising was the tip awaiting him the following day by the cast members, accompanied by a theater program signed by all of them. Miller’s memory piece ran its course at the Goodman, and many patrons witnessed the last dramatic account of the tumultuous life of Marilyn Monroe. Many months afterward, playwright Arthur Miller placed his well-used pen in its inkwell, turned from the mirror, and was finally at peace. I’m convinced that visionary Walt Disney invented the Internet while cruising through “It’s a Small World” with art director Mary Blair after its completion on May 28, 1966. As their shallow skiff swam through narrow channels and the voices of myriad multinational, crooning dolls dulled to a drone, he must have whispered his notion to connect the World of Laughter to the World of Tears, the World of Tears to a Planet of Hope, and that planet to another borne of fear. Brushing the tickle off of her right ear, Mary probably turned to him next, glassy-eyed and smiling in an elephantine way, nodding her acknowledgement. It would indeed be a small world one day, and they both knew it. It has indeed become un petit monde since the global takeover of the futurist’s vision. Anyone with online access can type the URL of a far-off position and suddenly be on the next virtual sofa cushion, noblesse oblige. Still, what Uncle Walt and Ms. Blair failed to recognize on their significant tour was how linked these separate residences already were without their conceptual Internet. There was already laughter when one coincidentally met a previously seen stand-up comedian and chuckled with him, recalling his best joke. Running into one’s ex unexpectedly at a car dealer already inspired fear. And joy could be found by then in the unlikely circumstance of meeting one’s high school teacher in a nearby grocery store. 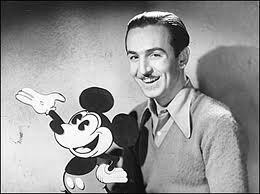 Still, what was missing from Walt’s “World of” portfolio was the World of Confusion and Displaced Identity. I know it exists, because I crashed into it one fall evening shortly after moving from the friendly confines of my parents’ home in Kettering, Ohio, to Chicago’s Lakeview neighborhood. I was in Station Two at the often-mentioned Mexican eatery closing business down, when a nearby table of two called for my attention. From the small distance, I could see that they were sated, given the half-eaten states of their pollos fundidos and the shallow pools of shaved ice in their margarita glasses. So I went to clear away their dish ware away. I looked at him for a moment, smiling blankly. Then, a little chime not unlike Tinkerbell’s nodding head commenced to lightly ping. Suddenly, the familiarity of the way his girlfriend’s square, brown eyeglass rims were framed by the center part of her red hair made sense. Occasionally, a dissolved piece of candy can leave an unkind taste in one’s mouth. The oft-maligned licorice legume , easily mistaken for its grape-colored counterpart, can be swallowed with a handful of variously-toned Jelly Beans and result in a case of The Shudders. Biting into a spicy cinnamon disk can cause howls when one cracks a tooth. A stale rib from a Bit o’ Honey can lead to perpetual, annoying chewing. Sour Patch Kids can infrequently seem too sour. And chocolate can get you fired. Yes, it can. I moonlighted at a gourmet sweet shop on the third floor of the Water Tower Place mall, while simultaneously being employed as a server at a Mexican eatery on the sixth. My retail job, indulging a yen for chocolate common to both continuously-dieting Gold Coast shoppers and the “cocoa-disenfranchised”, was a good one. I would reach behind an unsmudged display case, tenderly pinch chosen dainties one by one with my transparently-gloved right hand, and deliver them over the counter to guiltily smiling faces. It had the added perk of gustatory access to any sweets damaged during shipment also. One Monday evening, I was winding business down on the sixth floor, clearing the mole-stained plates of a middle-aged couple who were seated at a minute table for two. As I did, the woman produced a small bag from the third-floor confectionery. I told her I held a position there, too, inquired about her purchase, and watched as she presented a small box of truffles, raspberry, key lime, and two others whose names escape me. They were familiar, since my manager at the shop had recently introduced them as new products. In fact, when we sampled them together, she opined that they tasted “like a fluoride treatment.” I shared this with my guests, who shrugged it off. The following morning, I received a call from my manager. “If you’re working your other job today, would you mind stopping by afterwards?” she firmly inquired. I was perplexed, since I didn’t know what the conversation could entail. I hadn’t stolen anything, the store was always wiped down to the best of my ability when I closed, and I had the faith of my co-workers. Still, I consented to meet her at three that afternoon to tend to this business. Upon my arrival later that day, I was pulled into her cluttered, dimly lit office, where a tattered box filled with half-eaten hazelnut bouchees sat on her desk. 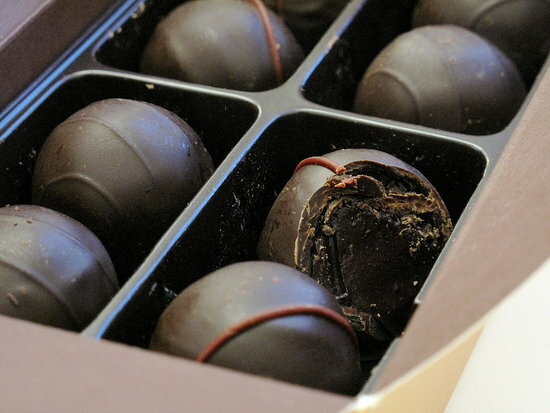 “I got a call from someone that you met last night at your other job, someone who had brought in a box of the new chocolate truffles. Do you remember him?” she queried, averting my eyes. Unsure where this was headed, I nodded. We worked side by side for another week, during which I’m sure I pinched the chocolates a bit too hard out of sheer nerviness. And when she asked for my apron, I wasn’t surprised. Therefore, once the iconic crooner had wiped the last of what has become known as Twin Anchors’ “Original Mild Barbecue Sauce” from his fingertips, pushed the bone bowl aside, and exited toward the moonlight waning over Sedgwick and Eugenie Streets, he could escape with assured anonymity. It was his kind of town, indeed. Others speak of Frank’s final visit to the City of Big Shoulders, when he and his wife Barbara celebrated their ten-year anniversary in approximately the same style wherever they went. All amazing nights come to a close, though. Frank’s twilight visits became legend, and, today, only pictures pass on the evidence of his outings to beloved hangouts. A decade after his final getaway to Chicago, Gibson’s door revolved and daughter Nancy Sinatra and her friend walked to celebrate her father’s anniversary. The man who once called Chicago “My Kind of Town” lay ill in a Los Angeles hospital. 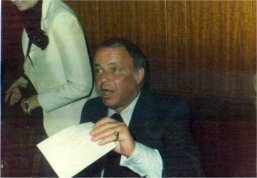 Mr. Sinatra died of a heart attack on May 14, 1998, laying the receiver gently into the cradle of the line connecting him to what became his kind of town while he lived. Regardless, the handsome lad from Hoboken remains one of Chicago’s truest sons, and his celebrated spirit is revered and felt in each and every club into which he walked during his highly thought of lifetime. Dining is an extremely democratic experience. One opts for a specific entrée on the basis of appetite, selection availability, even time of day. Most of us, having only a middling hunger at lunch time, crave an item reflecting what Mom used to cram into a transparent plastic bag, i.e. a turkey club sandwich with French fries in place of lovingly-pared carrot sticks. A more fastidious diner will occasionally go off-menu, asking for oddballs like a fruit cup or cottage cheese in place of potatoes. And then there is that rare patron who can disrupt a day’s flow by asking if the chef can throw together a Broccoli and Bleu Cheese Omelet just for him, as the ingredients appear in the chopped salad, proving that the components are indeed “in-house”. This democracy falters when it comes to side dishes, however. Servers oftentimes stand patiently at the tableside, while husbands, wives, or friends debate their dish’s accompaniment. With side dishes made to sate a pair instead of a single person, then what would be the best accompaniment for two different main dishes? What is the other’s “food-mood”, like, or dislike? The list of debatable items is as long as a civil ordinance. A most curious occurrence transpired when several members of the Chicago City Council were seated at Table 44, originally set for five. As I scribbled John Daley’s oft-requested Coke onto my green, lined notepad, an additional member walked onto the floor to cast his vote for a beverage. He wanted an iced tea, an additional chair, and a place for him at the table. His needs were met while I expedited the six drinks. Next, while the drinks were being placed en face of each proper guest, another from City Hall arrived, calling for comparable accommodations, which again were met. With the table burgeoning at seven now, I initiated the lunch order. That day, the near-unanimous vote was for each to have his own chicken sandwich. 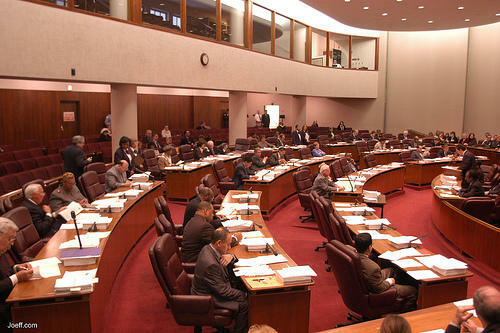 As it is with any bill passed around the City Council floor, however, everyone seemed to have an item to add or replace. Whereas Mr. Daley agreed to have French fries as a side, Mr. Silvestri preferred broccoli; yet, whereas Mr. Silvestri preferred broccoli, still another fancied broccoli sans butter. All were democratically chosen items chosen with another’s influence, only each had a personal little spin. I entered the entire list of modified items into a computer, once the votes were cast. And the only item that has remained the same since has been Mr. Daley’s soft drink of choice, a sanctioned substitution for his true love, Pepsi.